For CNC machining, there are several unique types of drill bits, each used for a very specific purpose. However, all drill bits are designed to produce extremely accurate results. With this, manufacturing capabilities are greatly enhanced. By using computer numerical control (CNC) parameters, tasks that at one time would have taken a lot of time and effort is now mastered quickly and efficiently. 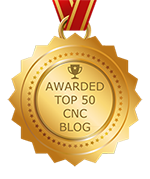 Keep in mind that computer controls are a key element of CNC machining but processes still depend on machinery. Therefore, a professional machinist must be able to choose the appropriate tools and components at all levels of the automated system. For drilling, milling, and routing machines, the drill bit is critical to the final product. One type of CNC machining drill bit is called the Twist and Insert. This falls into one of two primary categories of designs and is relatively inexpensive. Because of this, instead of spending money for sharpening, a new bit can be purchased when the old one becomes dull or damaged. This type of bit is also easy to use and it is great to center a drilling operation. The biggest downfall is that the bit can cause the exit of the hole to burr. Another type of CNC machining drill bit is the Indexable, which is used most often for computer controlled fabrication. This has ceramic inserts used as cutting edges on inner and outer cut spans. However, this bit also features a cutting tip that helps cut back on the need to sharpen. This type of bit drills extremely fast and is capable of producing holes that reach up to five times larger in diameter to the drill shaft. The spade drill bit is also used for CNC machining, which is actually a two-piece device. This bit has a removable bit that clamps into a specific slot and an ametal body. Usually, this bit is used to prevent long chips that often cause clogging of the drilling area. The ejector bit is also commonly used, usually for deeper hole operations. The drill bit has a single head cutting edge that has the ability to create large radial holes.